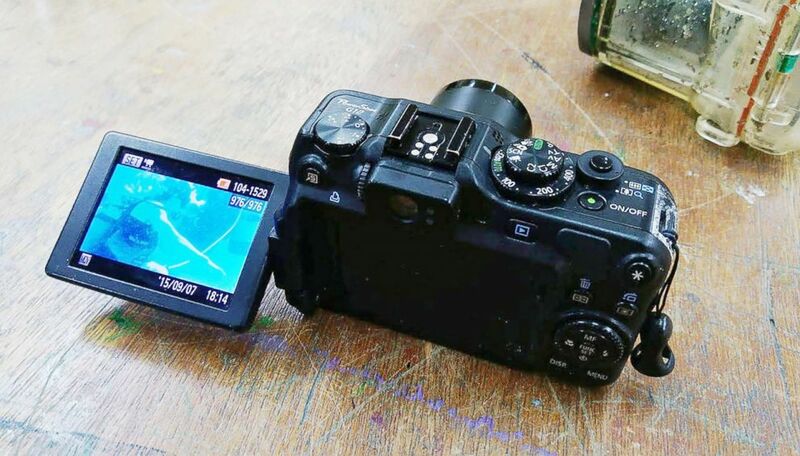 The excited camera owner plans to visit Taiwan in June to recover the camera. A college student in Japan is excited for a very unlikely reunion. Serina Tsubakhara lost a camera more than two years ago while scuba-diving with friends off the coast of Japan, the BBC reported. 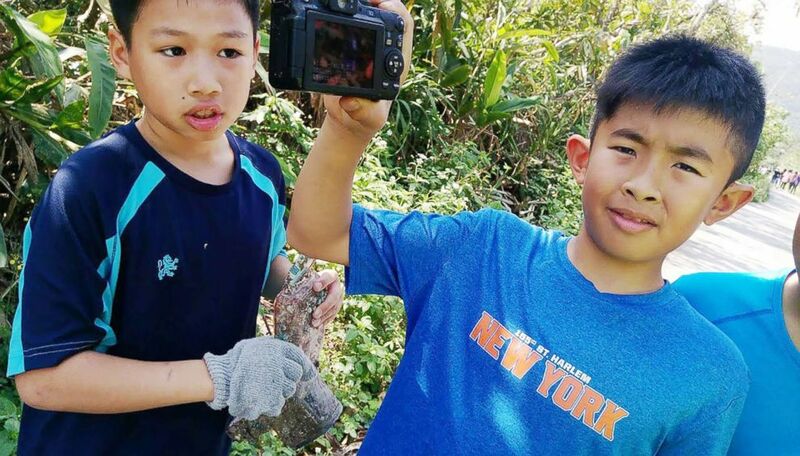 The Canon G12 washed up off the shores of a beach in Taiwan and was recovered by teacher Park Lee and his students while on a field trip to help clean up the beach. (Park Lee/Handout/EPA via Shutterstock) A handout photo made available by teacher Park Lee shows a barnacle-covered camera in a water-proof case that washed up on a beach in Ilan County, northeast Taiwan, March 27, 2018. One of Lee’s students found the barely recognizable camera covered in barnacles and shells. (Park Lee/Handout/EPA via Shutterstock) A school pupil displays the barnacle-covered water-proof camera casing which washed up on a beach. When Lee opened the camera casing, he was surprised to discover that it was still fully functional with no water damage and a surprisingly still-charged battery. After consultation with his students, he retrieved photos saved on the camera that showed Japanese youth scuba-diving and shared them on Facebook, in search of the camera's owner. 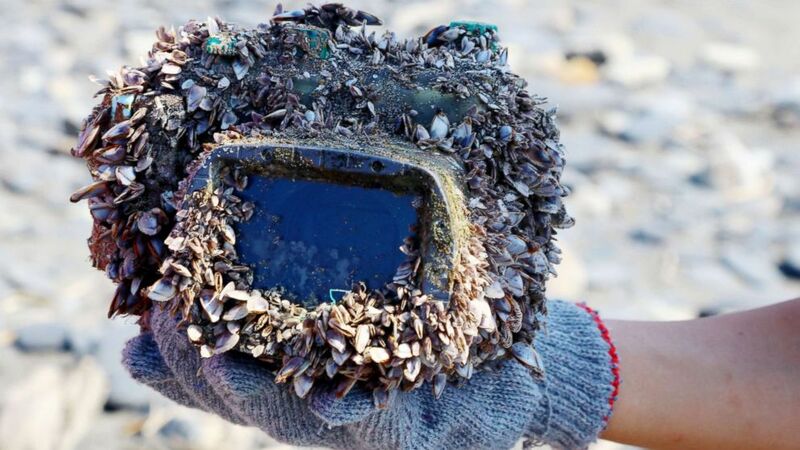 (Park Lee/Handout/Epa via Shutterstock ) The camera is pictured after it was removed from the barnacle-covered water-proof casing. His post was widely shared and within 12 hours Tsubakhara emailed him to claim it. Tsubakhara said she had lost the camera on a September 2015 trip to Ishigaki, Japan's southern-most island, some 155 miles east of Taiwan. 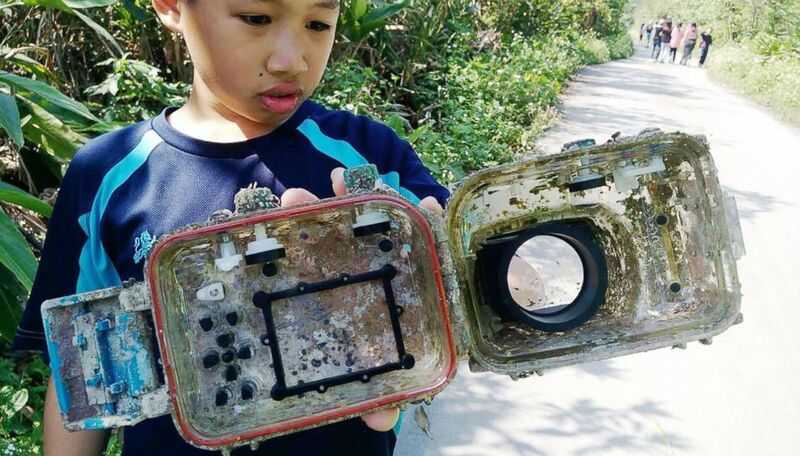 (Park Lee/Handout/EPA via Shutterstock) A school boy displays the camera which washed up on a beach in Ilan County, northeast Taiwan, March 27, 2018. The excited camera owner plans to visit Taiwan in June for the reunion and to personally thank Lee and his students for reuniting her with her camera and the memories she thought were forever lost.